Catherine worked for Jigsaw as an assistant accessories buyer for about a year, between 2006 and 2007. Based on Mortlake Rd, in Kew, south-west London, the company was started in 1972 by John Robinson and Malcolm Webster, and is now owned by Robinson Webster (Holdings) Ltd. The company aims "to sell stylish clothes in inspiring surroundings, at affordable prices", true to their motto that "fashion is temporary but style is permanent". In December 2006, when Catherine was 24 years old and had been dating Prince William for around three years, a spokeswoman for Jigsaw said: "We can confirm that Kate joined our staff two or three weeks ago as an accessory buyer for Jigsaw and Jigsaw Junior. We can't comment any further." 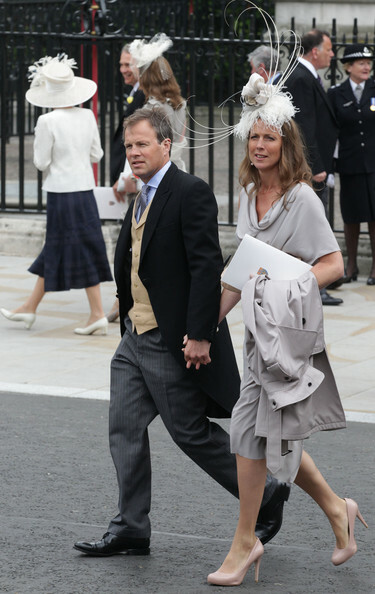 One of the company's owners, John Robinson, and his wife Belle are close family friends of the Middletons. The role of assistant accessories buyer was therefore tailored to Catherine's needs, in order to accomodate her growing royal commitments. While working for Jigsaw, Catherine collaborated with British brand Claudia Bradby Jewellery, which designs contemporary pearl jewellery for everyday wear, combining the finest cultured pearls, semi-precious stones and sterling silver to create beautiful, timeless pieces. At the time Bradby told the Evening Standard that she'd written to Catherine to congratulate her on the new appointment with Jigsaw, and then later Catherine got in touch to discuss creating a small pendant together. The necklace was reissued after the royal engagement announcement (above, the Evening Standard report). Also, notice the inflation, as back in 2010 the necklace was just £42! The piece was originally part of the brand's Junior range, aimed at girls aged 6-18 and was reissued as part of the main brand's "Heritage" collection in time for the Royal Wedding. A matching pair of earrings is now available as well. 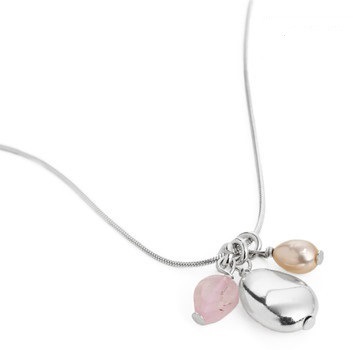 From the description on the Claudia Bradby website: "designed in collaboration with Kate Middleton, this delicate silver pendant framed with rose quartz and pearl charms is fittingly feminine. Layer with the Camellia necklace for a full effect. The pink pearl is traditionally a symbol of love and today rose quartz is known as 'the stone of gentle love'". Another Claudia Bradby piece with an obvious connection to Catherine is the "Camellia" rose quartz and amazonite necklace, which retails at £225/$326/€288. Rose quartz and amazonite are both associated with love and said to balance the emotions and promote calm. 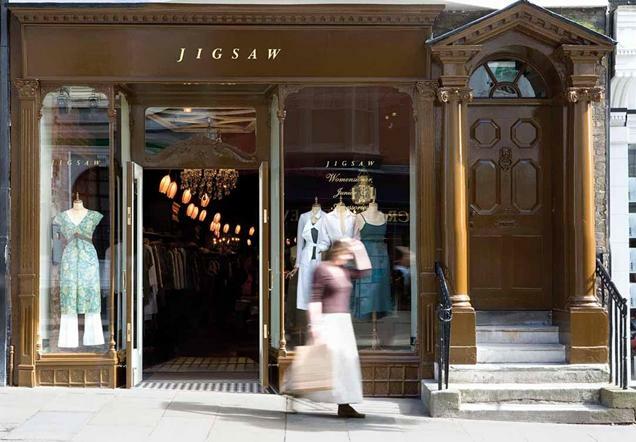 Catherine quit the job at Jigsaw in November 2007, fuelling rumors of an imminent royal engagement, after the couple had briefly split in April that year. It was reported at the time that she gave up the role as she wanted "time to herself", with some speculating she might build on her passion for photography and go on to open a gallery. As it turned out, this project never materialized and it was in fact another three years before the engagement was announced.